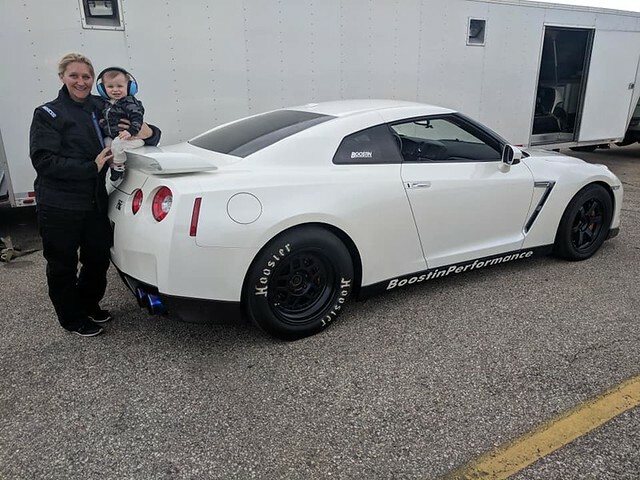 Last weekend, my husband and I loaded up the GT-R and our son, and headed up to Great Lakes Dragway (WI) for some test and tune passes. It has been over a year and a half since I last raced, so I was feeling both excited and a little nervous too. But having my family there, watching me, clapping and cheering me on, was all I needed to feel at home again. 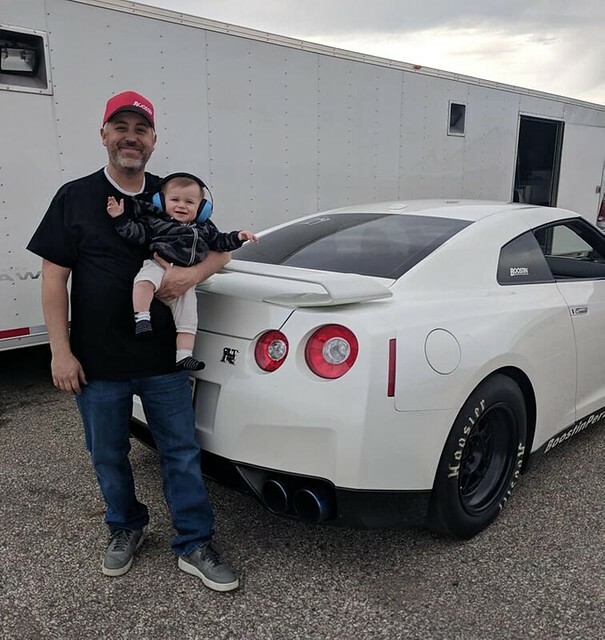 We had a very successful first outing, and I'm thrilled that we could leave the track with me reaching my goal of running an 8 second pass (8.73 @161)!!! 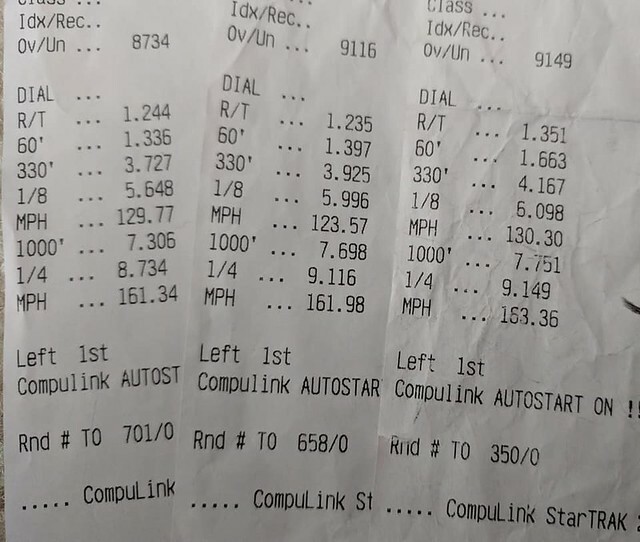 This was done on the lowest power level (28-30psi), as I wanted to get use to the car and being behind the wheel again, before turning it up more. I'm really excited to get back to the track again soon, and seeing what I can do on the higher power maps!! TSM Elite Plus getting it done! I love these turbos!